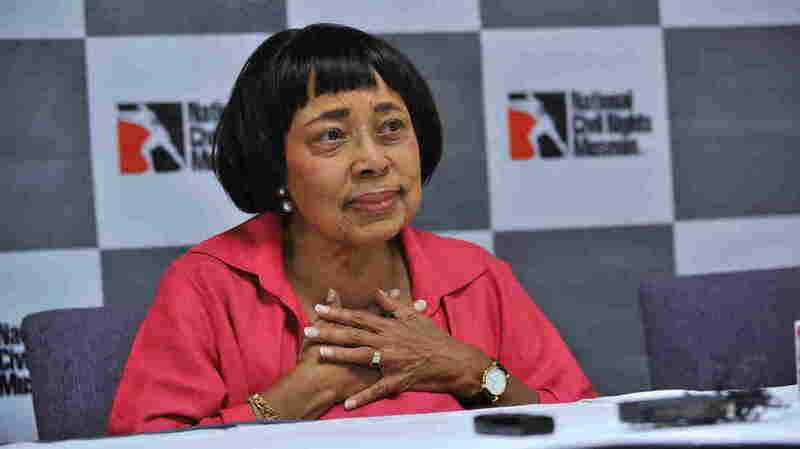 Civil Rights Leader Dorothy Cotton Dies At 88 Cotton was the education director of the Southern Christian Leadership Conference and worked alongside Martin Luther King Jr. She focused on empowering ordinary people to exercise their rights. Dorothy Cotton, pictured at a press conference at the National Civil Rights Museum in Memphis, Tenn., was the educational director for the Southern Christian Leadership Conference in the civil rights era. She has died at 88. Beginning in the 1960s, Cotton was the educational director at the SCLC, where she worked alongside other civil rights icons and acted as an adviser to Martin Luther King Jr.
"Current SCLC President Charles Steele says most members of the executive staff, at that time, were men.
" 'She was one of the few that was in the inner circle, which actually made her stand out,' [Steele says.] 'And she made a lot of decisions that influenced the Civil Rights Movement throughout America.' "
Most notably, Cotton developed and led the SCLC's citizenship education program for 12 years. 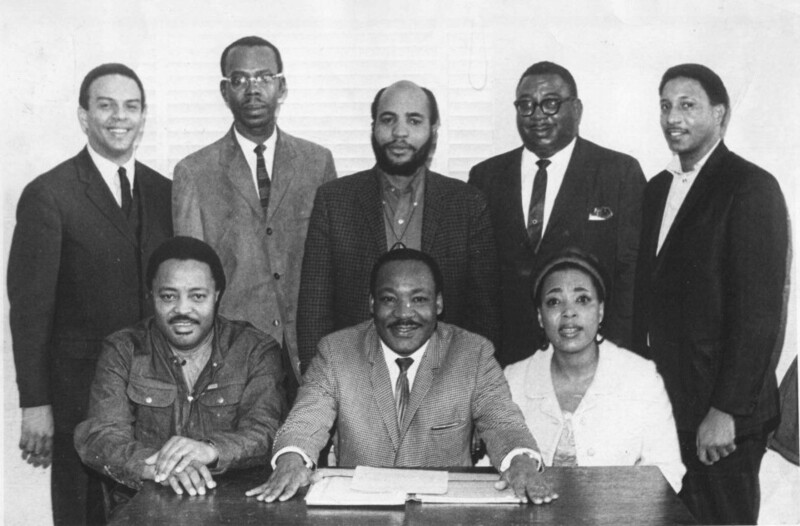 Dorothy Cotton sits for a photo with other staff members at the Southern Christian Leadership Conference, including the organization's president, Martin Luther King Jr. The program "empowered African-Americans in the South to register to vote and exercise their full rights," Bradley George of Georgia Public Broadcasting reports. People trained in the citizenship education program, or CEP, not only gained the tools to claim their individual rights, but often went on to participate in major demonstrations. 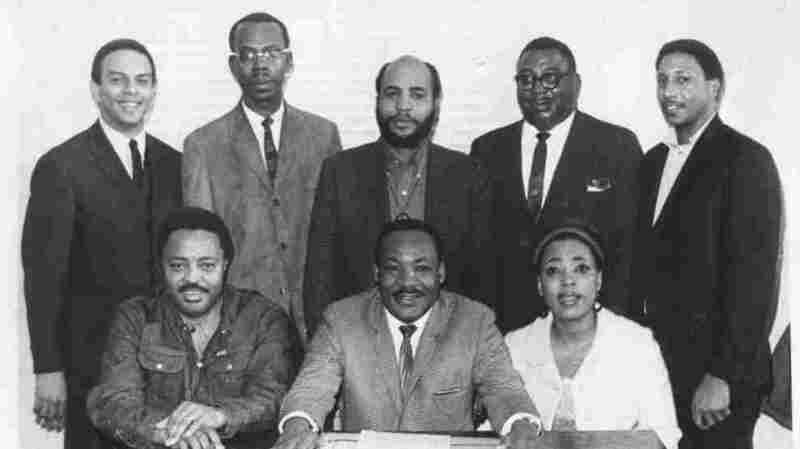 "The CEP helped ordinary people identify what was intolerable in their circumstances, envision the changes they desired, learn their civil rights, prepare for democratic engagement, and craft courageous strategies for organizing communities and speaking truth to power," the Dorothy Cotton Institute writes. "It fostered the transformation of often poorly educated and disenfranchised people from 'victims' to full 'citizens.' "
Cotton spoke to NPR in 2009 and described the work of the CEP. "People had to ... un-brainwash themselves because this sense of being less than other people was so hardwired into the culture, into the psyche of black people. And what was hardwired into psyche of white people was a sense of superiority," she said. "While all of that had to be torn down, that still does not mean that we have reached the Promised Land. It means that we have put some more cracks in that wall of segregation, separation, American-style apartheid." Cotton was born in North Carolina, according to her biography; her mother died when she was a small child, and she and her three sisters were raised by her father, who worked in a tobacco factory. Cotton put herself through college by working as a housekeeper for the university president — starting at Shaw University in North Carolina and then following Dr. Robert Prentiss Daniel when he moved to Virginia State College. She earned her undergraduate degree from VSU and a master's degree in speech therapy from Boston College, and later received several honorary doctorates. She remained active in the SCLC for several years after Kings' death, and later worked to promote federal volunteer programs. After her work in the civil rights movement, she became the director of student activities at Cornell University, established a consulting company and helped create a training institute promoting human rights and civic participation. In 2013, Cotton joined NPR's Kathy Lohr to visit an exhibit about civil rights history. She said many people in the 21st century don't understand the work that went on behind the scenes of the civil rights movement. "Of course, they couldn't really know about it because it was not something we could publicize," Cotton said. "We would have been shut down [for] teaching all those old black folk that they are citizens. "It should not be forgotten that change is possible, as painful as it is to remember it. But change is possible."